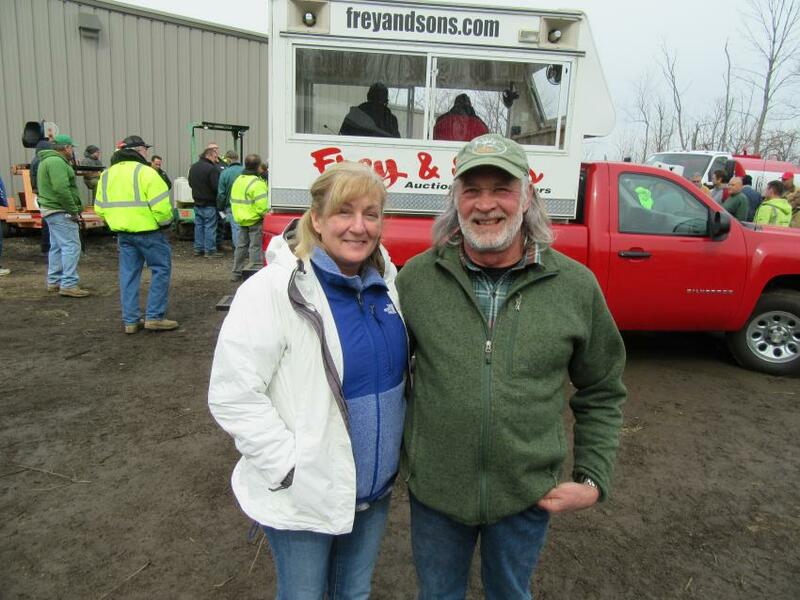 Frey & Sons Auctioneers held an absolute auction April 4 in Seville, Ohio. 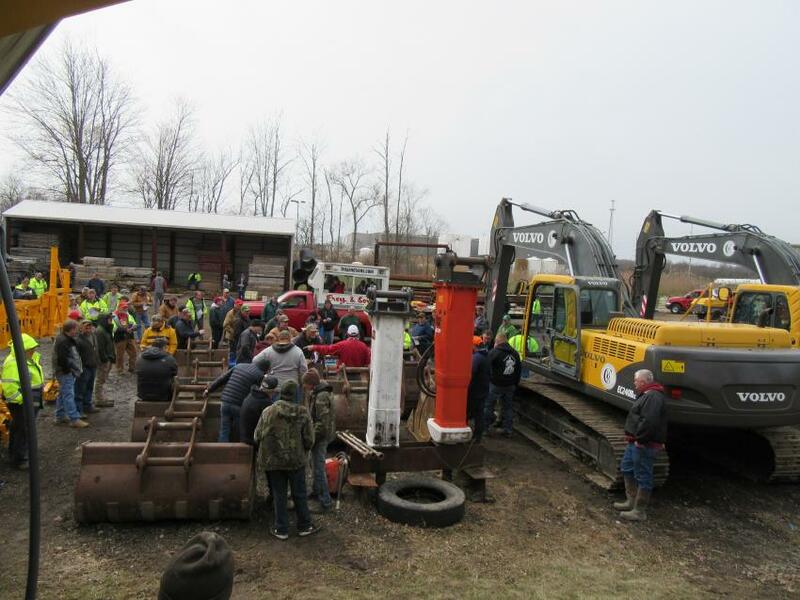 The auction was conducted for Cuyahoga Bridge & Road to sell equipment that will no longer be needed as the company shuts down bridge construction to focus on rebar and ironworking. 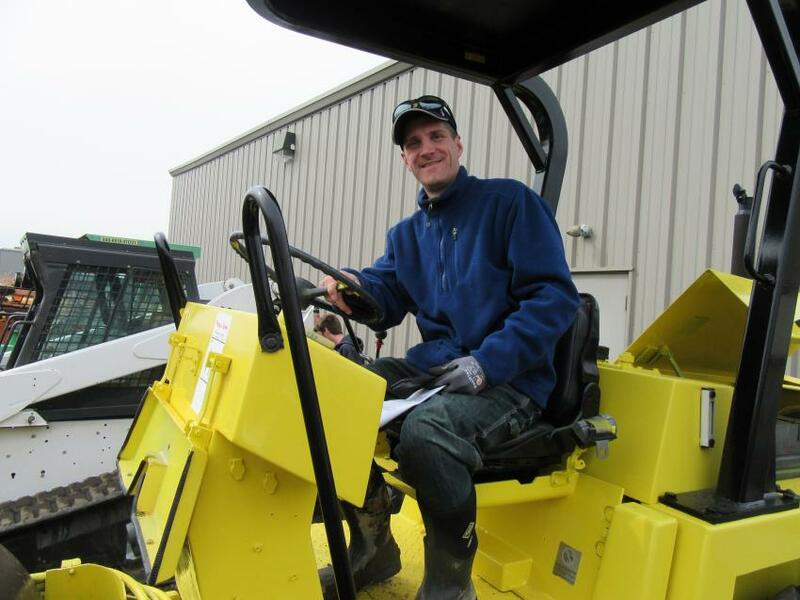 The auction, which drew a large crowd of enthusiastic onsite bidders as well as significant online bidding, featured a selection of well-maintained equipment, including excavators, wheel loaders, and other equipment used in bridge building. 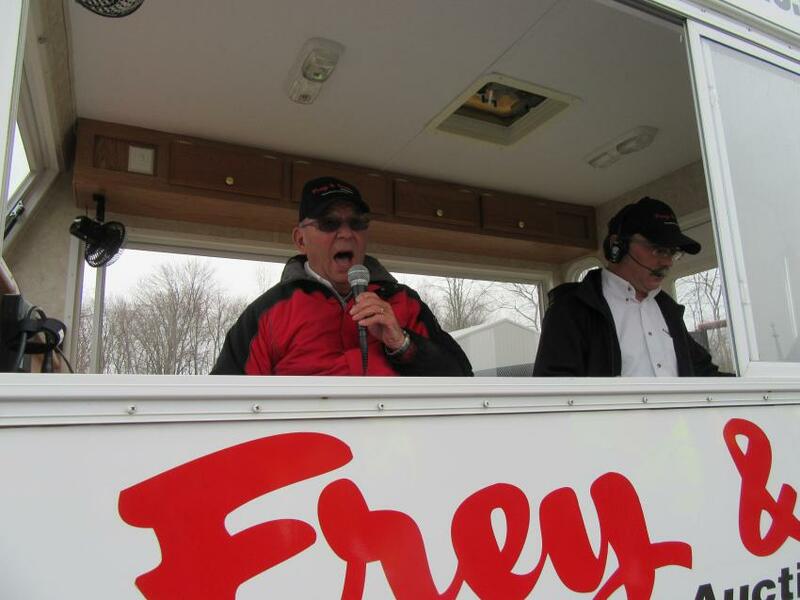 Established in 1963 and based in Archbold, Ohio, Frey & Sons has been a family-owned business for three generations, providing real estate brokerage and equipment appraisal services and conducting onsite and online equipment auctions throughout the year. Father and son team Jack and Chad Senghas of Senghas Construction hoped to take home some equipment. Frey & Sons Auctioneers’ Robert Frey calls out the bids. 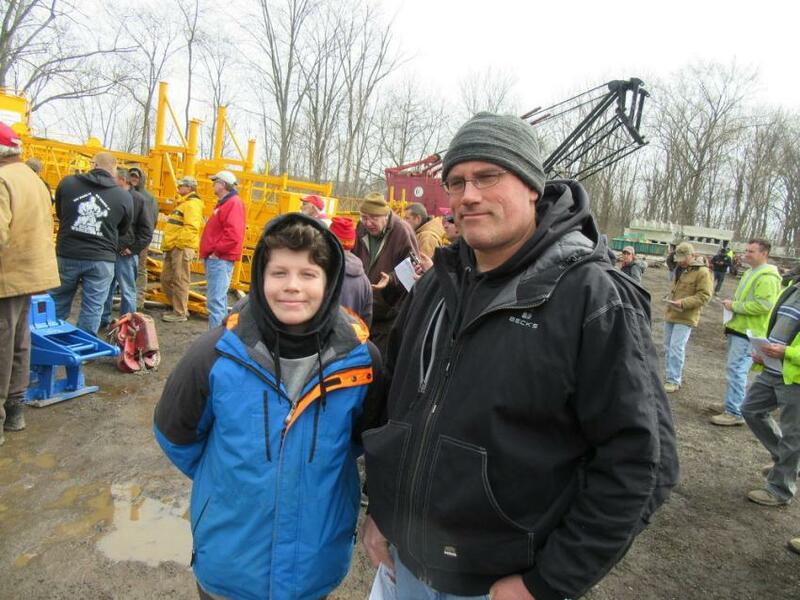 Matt Burda (L) of Great Lakes Construction joined Terry Tomasko of Independence Excavating to take in the auction. 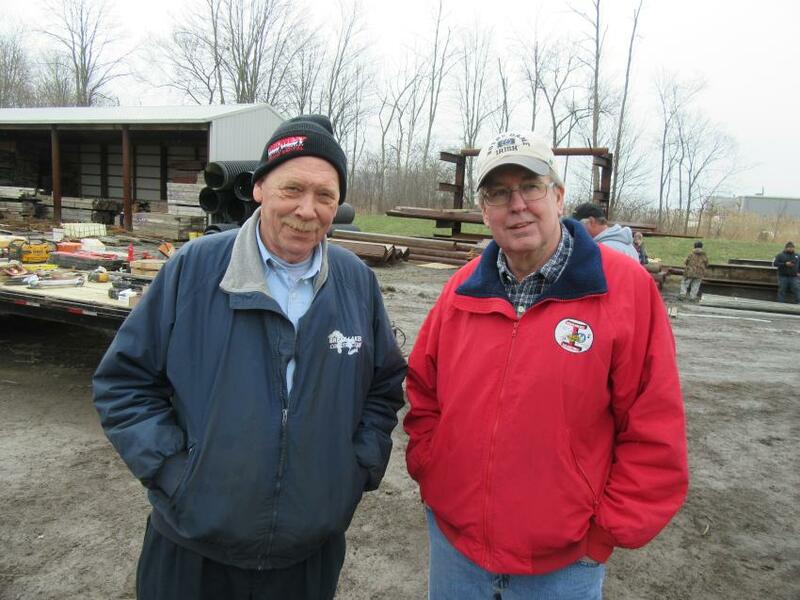 With plans to scale back their operations to focus on rebar and ironworking, Cuyahoga Bridge & Road owners Joyce and Kevin Schemp were pleased with the auction results. Schirmer Construction project manager Brett Iafigliola found this roller to be an ideal perch from which to watch the auction. 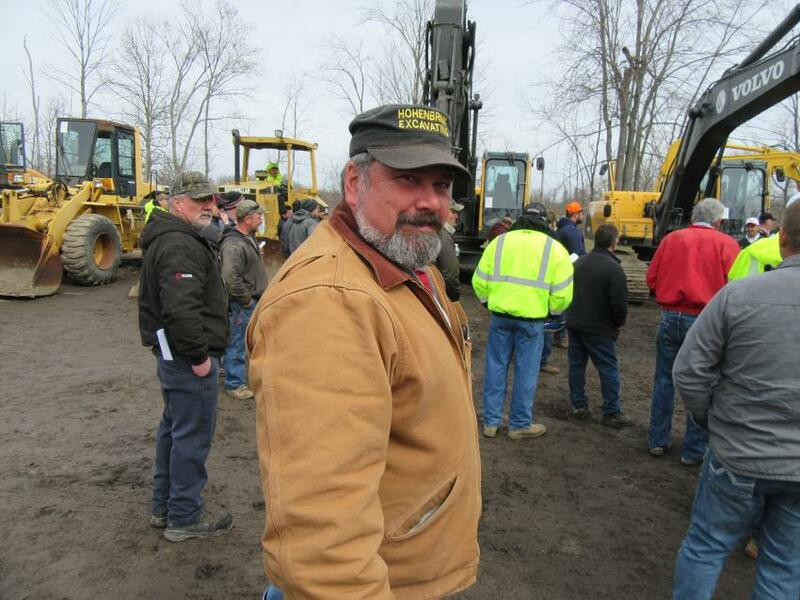 Rick Hohenbrink of Hohenbrink Excavating was on the hunt for equipment bargains at the auction. The auction drew a large crowd of active bidders.